Stock Market Topping Pattern or Just Quick Correction Before Another Leg Up? Stocks slightly retraced their recent advance yesterday, as investors took some short-term profits off the table. The S&P 500 index remained above the 61.8% retracement of its September-December sell-off. Is this a topping pattern or just a correction within the uptrend? 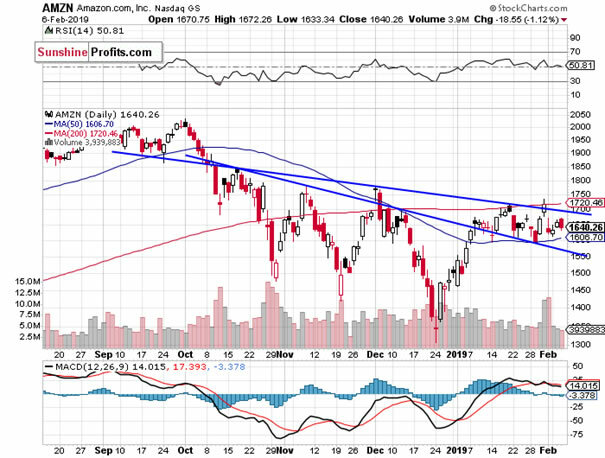 The U.S. stock market indexes lost 0.1-0.4% on Wednesday, retracing some of their recent advance, as investors took short-term profits off the table. 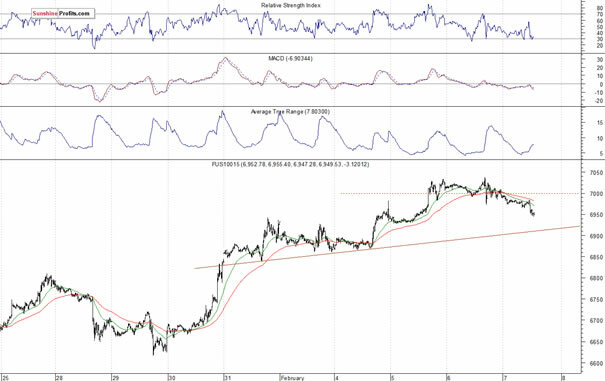 The S&P 500 index broke above its short-term consolidation on Wednesday a week ago and it continued higher. The market is above the 61.8% Fibonacci retracement of its October-December downward correction of 20.2% (2,713.88). 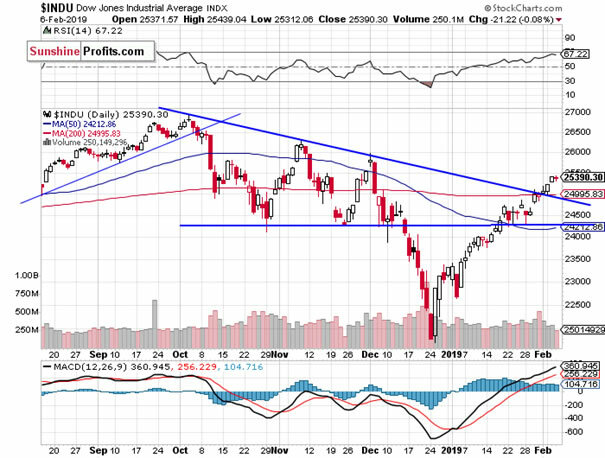 It has gained 390 points from the late December medium-term low, but it is still around 200 points below the September 21st record high of 2,940.91. The Dow Jones Industrial Average lost 0.1% and the Nasdaq Composite lost 0.4% on Wednesday. 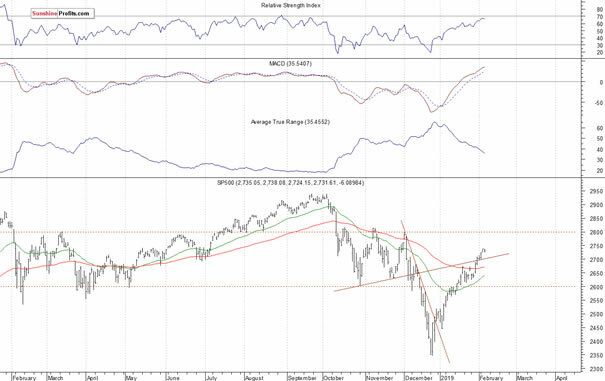 The nearest important resistance level of the S&P 500 index remains at 2,750-2,760, marked by some previous local highs. The resistance level is also at 2,800, marked by the early December local high. On the other hand, the support level is at 2,700-2,710, marked by the previous resistance level. The support level is also at 2,650. Negative Expectations, Correction or a Reversal? Expectations before the opening of today's trading session are negative, because the index futures contracts trade 0.6% below their yesterday's closing prices. The European stock market indexes have lost 0.1-1.2% so far. Investors will wait for the Initial Claims number release at 8:20 a.m. 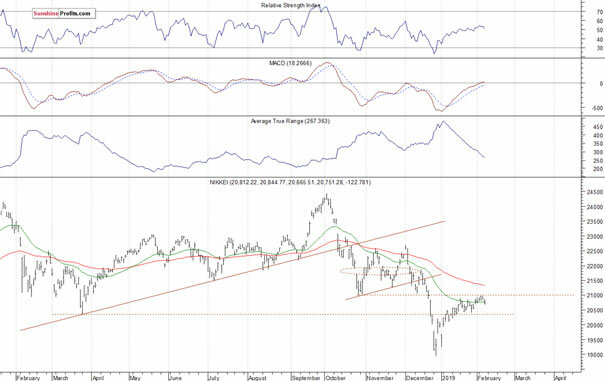 The broad stock market will likely extend its short-term downward correction and we may see some more profit-taking action. The S&P 500 index broke above its short-term consolidation a week ago on Wednesday, as investors reacted to the Fed's Rate Decision release. Is this a new medium-term uptrend or still just upward correction before another medium-term leg lower? The market continues to trade above the 61.8% Fibonacci retracement of the whole medium-term decline. There have been no confirmed negative signals so far. 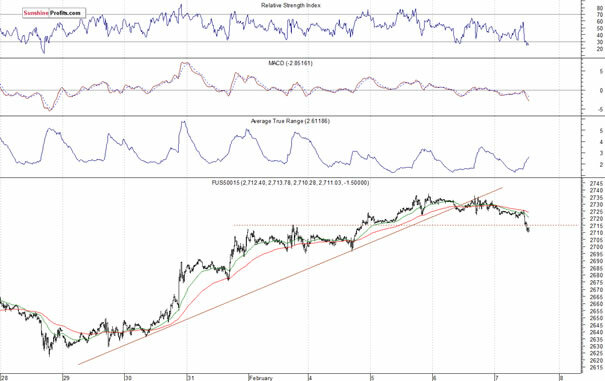 But we still can see some short-term technical overbought conditions. Concluding, the S&P 500 index will likely open lower today. We may see some more profit-taking action in the near term. However, there have been no confirmed negative signals so far. 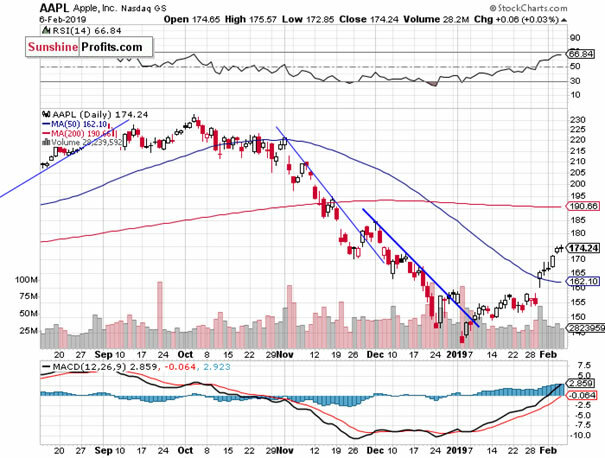 For now, it looks like a downward correction. If you enjoyed the above analysis and would like to receive free follow-ups, we encourage you to sign up for our daily newsletter – it’s free and if you don’t like it, you can unsubscribe with just 2 clicks. If you sign up today, you’ll also get 7 days of free access to our premium daily Gold & Silver Trading Alerts. Sign up now. Stock market strategist, who has been known for quality of his technical and fundamental analysis since the late nineties. He is interested in forecasting market behavior based on both traditional and innovative methods of technical analysis. Paul has made his name by developing mechanical trading systems. Paul is the author of Sunshine Profits’ premium service for stock traders: Stock Trading Alerts. All essays, research and information found above represent analyses and opinions of Paul Rejczak and Sunshine Profits' associates only. As such, it may prove wrong and be a subject to change without notice. Opinions and analyses were based on data available to authors of respective essays at the time of writing. Although the information provided above is based on careful research and sources that are believed to be accurate, Paul Rejczak and his associates do not guarantee the accuracy or thoroughness of the data or information reported. The opinions published above are neither an offer nor a recommendation to purchase or sell any securities. Mr. Rejczak is not a Registered Securities Advisor. By reading Paul Rejczak’s reports you fully agree that he will not be held responsible or liable for any decisions you make regarding any information provided in these reports. Investing, trading and speculation in any financial markets may involve high risk of loss. Paul Rejczak, Sunshine Profits' employees and affiliates as well as members of their families may have a short or long position in any securities, including those mentioned in any of the reports or essays, and may make additional purchases and/or sales of those securities without notice.